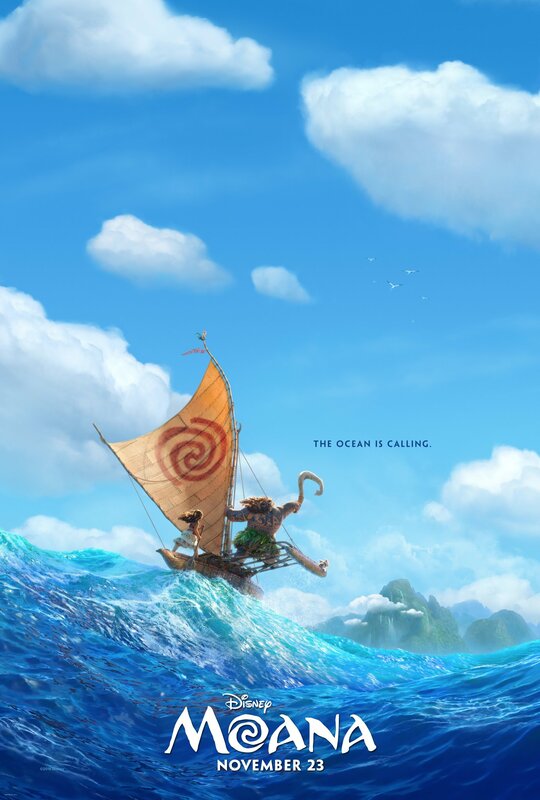 Disney have already made a good start with their forthcoming project Moana. In hiring Dwayne ‘The Rock’ Johnson they’ve fulfilled the unspoken oath that every film coming out in the next twenty years needs to feature the actor. So it is done, and Johnson (playing a God – naturally) is set to introduce the waiting world to something special: a new Disney Princess. Moana, starring 14 year old Auli’i Cravalho, looks stunning, and builds on the studio’s recent success with female focused stories. There’s a new poster out in the wild today, and is one for the wall. It perfectly captures the thrill of adventure in one still image, and is the perfect tease for the film which is out in the US on the 23rd of November and the 2nd of December here in the UK. Can’t wait. and the first footage from the film, which was revealed recently.